This week I have made some major headway on the small oil panel paintings I am working on. Images of those in-progress paintings will be posted later in the week. 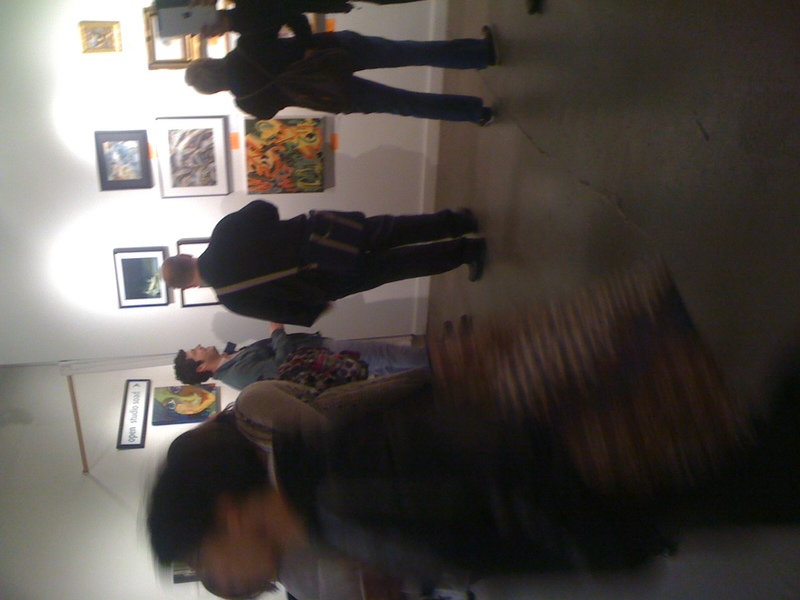 Here is a quick snap of the “The Guerrilla Show Opening” at the Arc Gallery in SF.